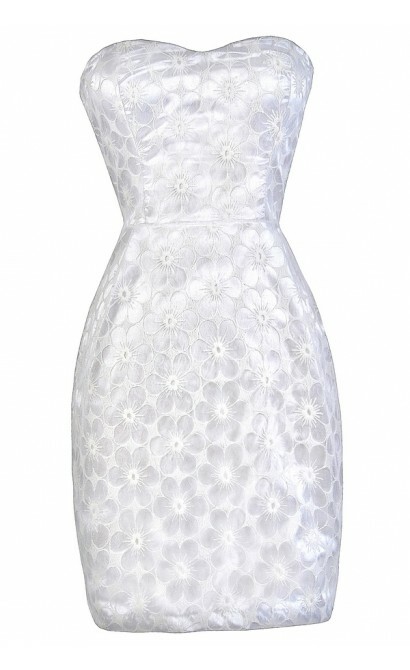 You have added Flower Garden Party Strapless Dress in White into shopping cart. FINAL SALE. 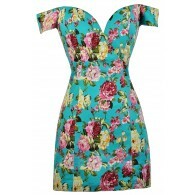 This is a great classic strapless dress with flower designs on it. The Flower Garden Party Strapless Dress is fully lined. 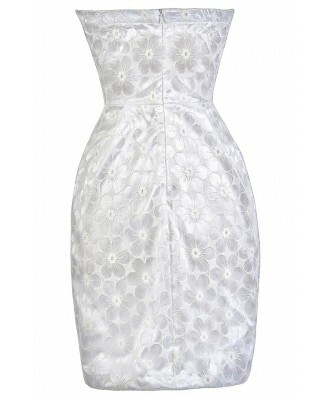 It has a mesh fabric overlay with embroidered flower designs throughout, giving it an intricate textured look. The cut of this dress features a strapless sweetheart neckline and lightly padded bust. The empire waist of this dress gives way to the roomy sheath cut skirt. A hidden back zipper completes this dress. 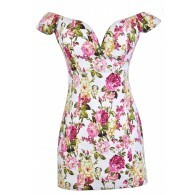 The Flower Garden Party Strapless Dress looks nice paired with pumps or strappy heels. 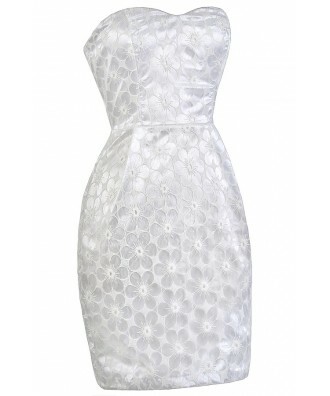 The White version is a great option for brides to wear to a rehearsal dinner or bridal shower. Details: Made in USA. Fully lined. Lightly padded bust. Hidden back zipper. 100% polyester. Hand wash cold or dry clean. Small measurements: Length from top of bust to hemline: 29". Bust: 32". 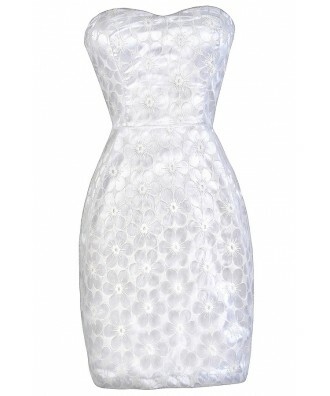 You have added Flower Garden Party Strapless Dress in White into Wishlist. 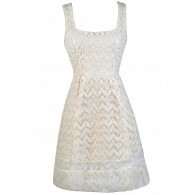 You have added Flower Garden Party Strapless Dress in White for Stock Notification. You have set Flower Garden Party Strapless Dress in White as a loved product. You have removed Flower Garden Party Strapless Dress in White as a loved product.